I have written ad nauseam about the PMP credential on this site and have whole pages with links to tools to help individuals pass the exam, not to mention logging hundreds of hours instructing people on how to pass the exam. So why am I revisiting this topic? Because I keep seeing misinformation about the credential that annoys me which compels me to write about it! A great example is this paper published in the February, 2011 edition of “The Project Management Journal” with a paper appropriately tiled “PMP® certification as a core competency: Necessary but not sufficient” by Jo Ann Starkweather and Deborah H. Stevenson. 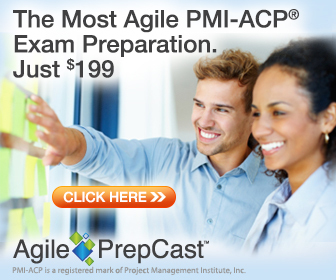 The first thing wrong in my view is right in the title of the article where it says the PMP is a “certification”. I don’t believe the PMP is a certification in the sense that a person who is designated a “Certified Public Accountant” (CPA), “Professional Engineer” (PE) or board certified doctor is designated. For these professions, you cannot practice accounting, engineering, or medicine without being certified by a designated organization and/or the state and Federal government. The PMP is more a credential that the Project Management Institute confers upon an individual to acknowledge they have taken a rigorous exam and passed a certain threshold that displays an adequate knowledge of the tools, techniques and practices outlined in the PMBOK as well as some knowledge of it outside the PMBOK. Though some organizations strongly recommend you take and pass your PMP exam (with some organizations, such as those in healthcare or the government requiring it), you don’t need it to practice project management. In fact, you need to provide evidence of having managed projects for a number of years and accumulated hours before taking the exam, whereas the other “real” certifications require you obtain them before you can practice accounting, law, engineering or medicine. Which leads me to my next point: The PMJ article wrongly concludes that the PMP is a necessary, but not sufficient factor to gauge project management competency and success. To me I would phrase it the other way around, in that the PMP is one of many sufficient “indicators” of a person’s PM competency and possible success, but is definitely not a necessary one! One may accuse me of pedantic myopia with respect to this semantic distinction, and one would not be entirely wrong, but it is nevertheless an important distinction to make. Let’s look at the field of economics for example, where lots of statistical analysis is used to forecast trends. A mistake that is often made by individuals in this field is where they presume that certain indicators would contribute to a certain outcome. For example, one could conclude that certain individuals who are minorities and from a poor social-economic background would be more prone to crime, therefore if I conclude when I see a group of poor minorities that they WILL commit crimes means I made the mistake of a believing a set of indicators resulting in a certain outcome (This is similar to linking correlation to causation). Likewise, for a person who has gone through the difficult process of obtaining the PMP would indicate to me if I was a hiring manager, that this person had to have somehow verified their past experience with managing projects and that since they passed the difficult exam, they must have a good general knowledge of the tools, techniques and practices of project management. This may be a sufficient indicator of PM competency and being successful on projects, but is definitely not a necessary one. For like the example above, until I actually see a crime committed I cannot conclude that those individuals who are minorities and from a poor social-economic background are actually criminals. And even if they are criminals, I still would be wrong to conclude that since those particular individuals committed crimes that ALL people of those backgrounds will commit crimes (inductive reasoning fallacy). Similarly just because I hire a PMP that turns out to be a great PM, doesn’t necessarily mean that all project managers I hire will be a great PM and vice versa if they turn out terribly. So in conclusion, while those who have the PMP credential indicates a higher level of commitment and acknowledgement of the tools, techniques and practices of project management as it is generally known to be “best practices” according to PMI’s PMBOK, this does not correlate to competency, skills and knowledge that would lead to outstanding results. Interestingly, the report confirms this as their research indicated that the “PMP® certification was the least valued of 15 core competencies and that there was no difference in project success rates between PMP®-certified project managers and uncertified project managers.” Unfortunately in my opinion, the study was narrowly focused on the IT industry, which I will agree has been the most dominant industry for PMP credentialed IT project managers in the past decade or so, but is a practices that is done by many individuals across industries. But to be fair, the most data was in the IT sector for the date of the publication so in that light it makes sense. I still recommend that those who are serious about project management and reside in areas such as North America where it is highly valued, that you obtain the credential, but as they say “caveat emptor” or buyer beware!